More students than ever, led by those from India, are enrolling in US graduate schools, but the number of Chinese students has declined slightly－a decline due in part to improved programs in China－according to a report released on Wednesday. The report from the Council of Graduate Schools shows that first-time enrollments of students from China dropped 1 per cent in 2014, the first decline measured since the survey was initiated in 2004. According to the report, the number of international students at US graduate programs rose between 7 and 10 per cent from 2008-13. That growth was driven by Chinese students until 2012, when their numbers peaked. The number of students from India jumped 30 per cent and 24 per cent in the last two years to surpass the Chinese. The change in Chinese first-time enrollment involves a relatively large number of students, since Chinese students constitute 33 per cent of the total enrollment of international graduate students in the US, the report said. "This is the first year that it has gone down," Jason Lane, a professor of international education at the State University of New York at Albany, said on Wednesday. "Previously, there had been huge increases in Chinese students. Last year the increase was 1 per cent and this year there was a 1 per cent decline." Philip G. Altbach, director of Boston College's Center for International Higher Education, said Chinese graduate students now have access to improved graduate programs in China. "China has increased its number and capacity of high-quality graduate programs," he said. "Chinese students now have options at home to pursue advanced degrees they didn't have several years ago." 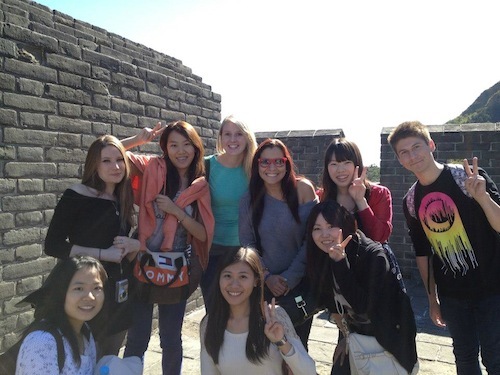 Lane agreed, adding that Chinese students also have more choices to when seeking an overseas education. "China has always been a leading sender of students, and Canada has been aggressive in recruiting foreign students, as have several European countries," he said. The reduction in the number of Chinese students who study at US graduate schools may simply reflect the end of the Chinese baby boom, said Chen Naibo, director of curricula of Quakers Education, a consultancy for overseas study in Beijing. There has been an decrease in the total number of Chinese college students, Chen said. "China has passed its baby boom period. And Chinese universities have started to compete for students," he said, adding that a majority of Chinese students who enrolled in the US graduate schools went straight from college without working experience. But not all US graduate schools are experiencing a decline in interest. Timothy Brunold, dean of admissions at the University of Southern California in Los Angeles, said applications from Chinese students have increased. "Chinese international students currently account for about 25 per cent of our overall graduate applicant pool. Five years ago, they accounted for 19 per cent of our graduate applicant pool. So, not only are their numbers increasing, but so is their share in our pool," he told China Daily in an e-mail. Ohio State University in Columbus, said that Chinese graduate students in the fall of this year totaled 1,219, up slightly from 1,189 in the fall of 2013. As for students from India surpassing Chinese applicants in the US, Altbach said that Indian students may not have the same resources in their native country that are available to the Chinese. "Unlike China, India has not invested heavily in its PhD-level education, so their students are seeking a higher-quality experience," he said. "Another factor is the stricter visa requirements from the UK and Australia, which are popular choices for Indian students."